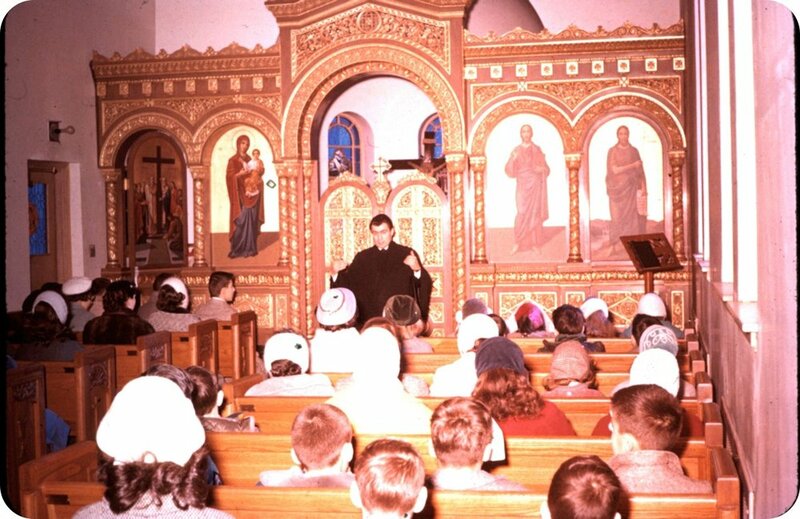 Recently, The Conservation Center’s team had the great honor of conserving several pieces from the interior of the Holy Cross Chapel of St. Andrew Greek Orthodox Church in Chicago’s Edgewater neighborhood. After the objects sustained water damage, The Center’s team was happy to be able to assist in the process of preserving the pieces and the historical identity of the church. Though there was no single event, such as a burst pipe or major flood causing obvious, immediate damage to the church, a damp environment had slowly caused issues that worsened and became more apparent with time. Upon examining the pieces, our conservators noted issues such as blanching, shrinkage splits, peeling veneers, losses, and failing adhesives, all of which are common results of pieces remaining in environments with excessive humidity for prolonged periods. The conservation of pieces including an altar table, an iconostasis, a dedication stand, and others, required collaboration between The Center’s furniture, objects, gilding, and painting departments, with work being carried out over hundreds of hours, both in The Center’s labs and on-site. 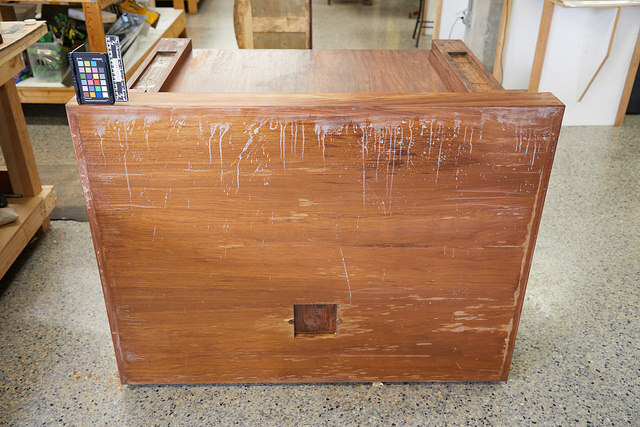 Everything treated by The Center was at least 60 years old, with each piece pointing to significant moments in the Church’s history, and serving as a reminder of the mission and dedication of the Church as it had grown over the years. The Center’s painting conservators also assisted with the conservation of the Christ figure. The team cleaned the painted surfaces, consolidated areas of flaking paint, repaired splits, and filled and inpainted areas of loss to conservation standards. They too were conscious of honoring the original intent of the artist who created the piece, and preserving it for future generations attending the church. 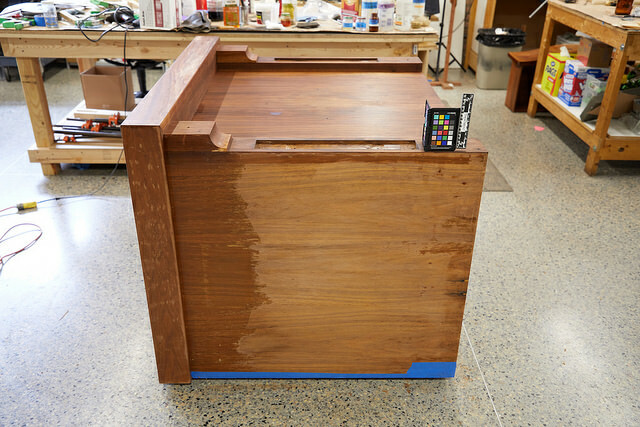 In reflecting on the project as a whole, The Center’s team believes the results were well worth the hundreds of hours spent treating the pieces. 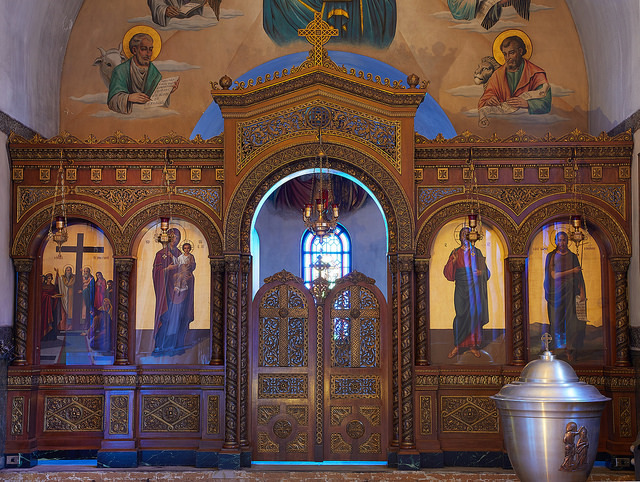 The team is pleased to have been a part of a project that will allow the history of the Holy Cross Chapel of St. Andrew Greek Orthodox Church to be preserved for years to come. See more treatment photos of the space below!